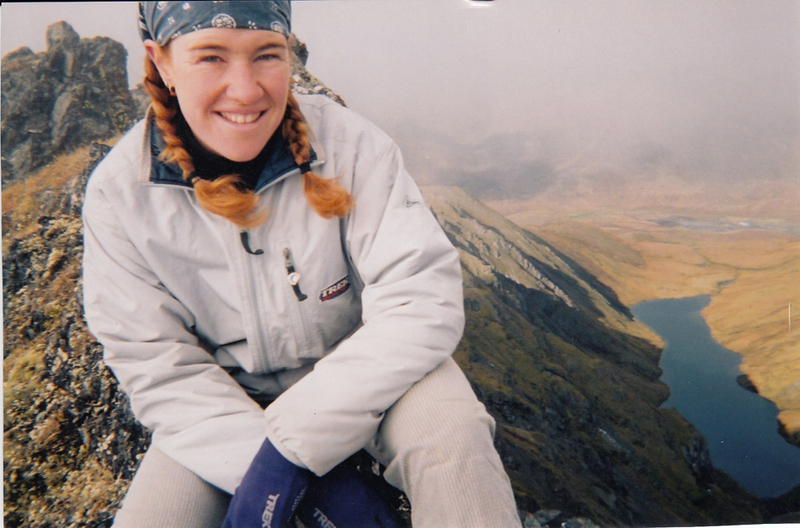 In 2015, Clara Hughes spent 139 days hiking the Appalachian Trail. It was a self-supported trip that covered more than 3,500km, stretching between the trail’s southern terminus on Springer Mountain in Georgia and northern terminus on Mount Katahdin in Maine. She made the trek over a period of several months, fitting in legs around work and other commitments. Hiking between six and 12 hours each day, she lugged all her gear, food and supplies, filtered her own water, and made and broke camp. Her husband, Peter Guzman, joined her for the first third of the trip, but the rest she did on her own. It’s taken Clara most of her life to reach that mindset—to be able to value the process and not feel the need to be validated by external landmarks or successes. For many years, decades even, she was mainly known to the outside world as a champion athlete. A former competitive speed skater and cyclist, she is a six-time Olympian and the only person to have won multiple medals in both the Summer and Winter Olympics (including gold and silver in 2006). But those achievements, as incredible as they are, don’t define her. And she doesn’t want others to define her by them, either. Those are shockingly honest words, especially from such a public figure. But it’s precisely because of her status that she wants to share the truth, and why she bares so much of herself in her memoir, Open Heart, Open Mind, released last year by Simon & Schuster Canada. She wants to shatter the illusion that she, or anyone, belongs on a pedestal. 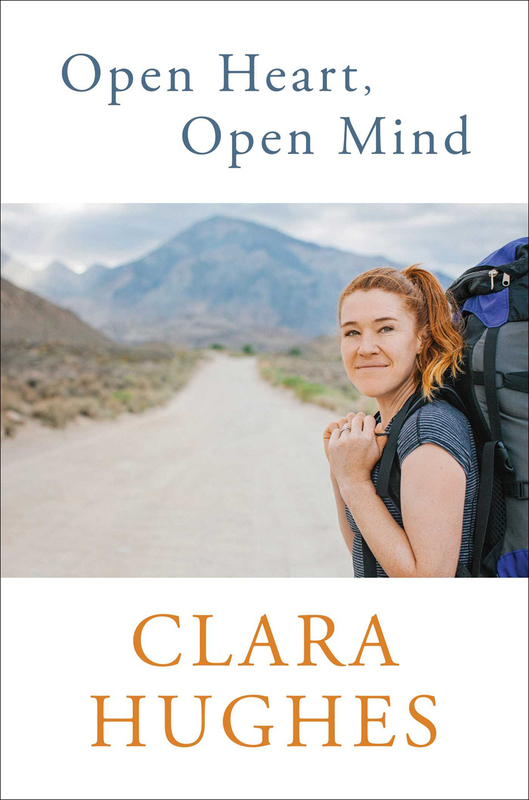 Clara’s book recounts in great detail her upbringing in Winnipeg, Manitoba, which involved dealing with a verbally abusive alcoholic father and the related feelings of near-crippling self-loathing, unworthiness and depression. Throughout its pages, she remains raw and honest about drinking and using drugs, binge eating, starving herself and acting out. She recounts how her life changed course after she famously watched a televised Gaétan Boucher speed skate in the 1988 Winter Olympics and knew, at 16, that she too would one day skate for Team Canada. But rather than becoming a healing path, athletics offered another means of escape for Clara. She hurled herself full-force into decades of trying to ride, run, skate away from the emotional pain she suffered. “I come from a family history of addiction and health issues and I was terrified,” she says. “I really thought that if I won (Olympic medals) and succeeded, it would make all this crap I was putting myself through and these environments I was putting myself in… that it would somehow make it all worth it and I would feel something good for the first time. After that “first Olympics,” the Atlanta 1996 Summer Olympic Games, where she won two bronze medals for cycling, Clara says she “cracked completely.” Her pace of life—chasing the fastest speeds she could to try outrunning what followed her everywhere—was unsustainable. What does interest her is the opportunity to use her platform to tell her true story and help debunk the myth that external success brings happiness. That matters to her. Clara, who seems set on finding clarity, cares that people know the truth: Behind the hype and the medals is a real person. That doesn’t mean it’s been painless for her to reveal so much. To deal with it, she has been working with her psychologist and, more recently, with her naturopath to manage the anxiety, which she says is the most intense she’s ever experienced. She has dreams in which her father, who passed away in 2013, comes back and tells her he isn’t the way she describes him in her book. She’s referring to things like epic cycling trips and her Appalachian Trail hike—the more constructive kind of suffering. But it is suffering, nonetheless. Suffering for a reason, to know yourself better, to improve and let others learn from your improvements; it’s an uncommon relationship with suffering, certainly in our culture. But Clara understands not only what it is to struggle but also that good can come of it. Offering readers hope and solidarity isn’t the only gift Clara bestows with her book. She’s donating her proceeds to charity. So far, Right to Play, Take a Hike, L’École Nationale d’Apprentissage par la Marionnette and the Canadian Mental Health Association have benefitted from her very open heart. This generosity is nothing new for Clara, who offers her time, money and energy to a long list of organizations. Most notably, she’s been an athlete ambassador for Right to Play since 2006. That relationship began when she won gold in the women’s 5000m skate at the Torino 2006 Winter Olympic Games and made use of the spotlight to announce that she would donate $10,000 of her personal savings to the charity. The experience taught her once and for all that medals only mean something to her if they represent more than just having crossed the finish line first. She has also been the face of Bell Let’s Talk since 2010—the same year she received a star on Canada’s Walk of Fame, was inducted into Canada’s Sports Hall of Fame and had the Order of Canada she received in 2007 upgraded to Officer, but that’s not where her focus is. By collaborating with Bell, Clara has been able to lend her voice to help break the silence and stigma surrounding mental illness. In 2014, she rode 11,000km across Canada for Clara’s Big Ride in support of the initiative. And every year, she champions Bell Let’s Talk day. The campaign has received criticism for corporatizing mental health issues—arguments Clara says she understands. But she still sees great value in attaching herself to the cause. “I think of the people who talk to me on pretty much a daily basis and I think, ‘Should I not do this?’” she says. “And then not be there to help this person who’s just told me that I really helped them? Should I not go to the Olympics and compete because people have a hate on for the Olympics? I don’t think that’s an answer. By any measure, Clara continues to achieve great things. But they are things that matter to her personally; her journey is no longer about winning or escaping. Life in Canmore, Alberta, where she and Peter have settled after years of “living all over,” is full of modesty and gratitude. Many of her current goals, as described in her book, “are small and invisible to others.” For example, changing her inner voice to a positive one that no longer channels her father; learning more about nature; being still, mindful and present; and, perhaps most of all, serving others. She has a variety of jobs and projects lined up, including broadcast work for CBC during the Rio 2016 Summer Olympic Games. 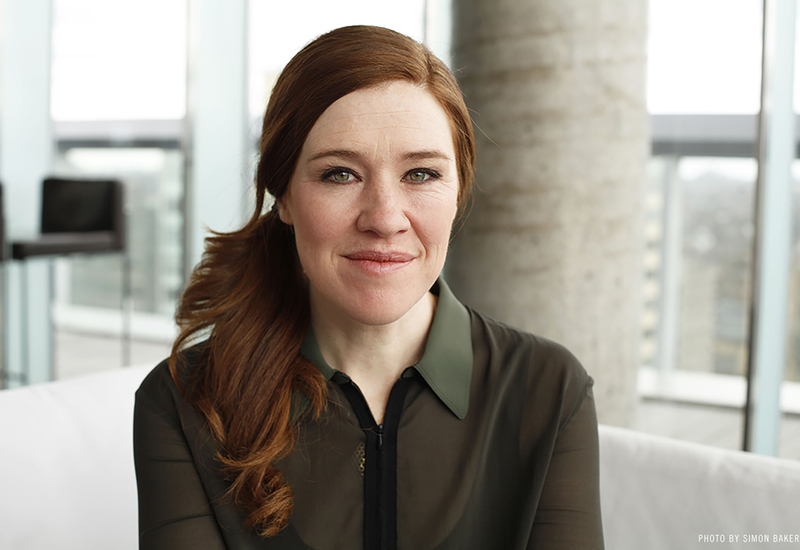 And she’ll be defending Lawrence Hill’s book The Illegal for Canada Reads 2016 from March 21 to 24. For now, though, she’s focused on taking each day as it comes and making sure she stays grounded. “I just hope people realize that even when you’ve done all these big things, it doesn’t mean you wake up every day thinking, ‘I love life! I’m going to go run a four-minute mile!’” she says. “Some days I can hardly even go for a walk, I’m so unmotivated. But the gift is always the experience and I just try to live each day with a little nugget that’s going to be a positive one. In case you were wondering, back on the Appalachian Trail, Clara did finish what she started; she did climb to the top of Mount Katahdin on that early morning in July 2015. But she did it on her terms, because she wanted to. “On the second last day (of my hike), I was in Baxter State Park about five miles from the top of Mount Katahdin,” she says. “I was going to hike up it the next day, and everyone (I had met along the trail) was going into town to stay at a hostel and have a celebratory dinner before hiking Katahdin… I stayed in the park and I ended up having the hiker campground to myself, which is unheard of. And I had this amazing experience of being alone and being okay being alone. “That was the most profound thing for me because I realized, ‘I know who I am. I don’t need to go into town and have that experience; my experience has actually been hiking up to 12 hours a day by myself.’ It taught me about myself and I’ve learned to be okay with being completely alone and being able to sit with myself without any distractions. 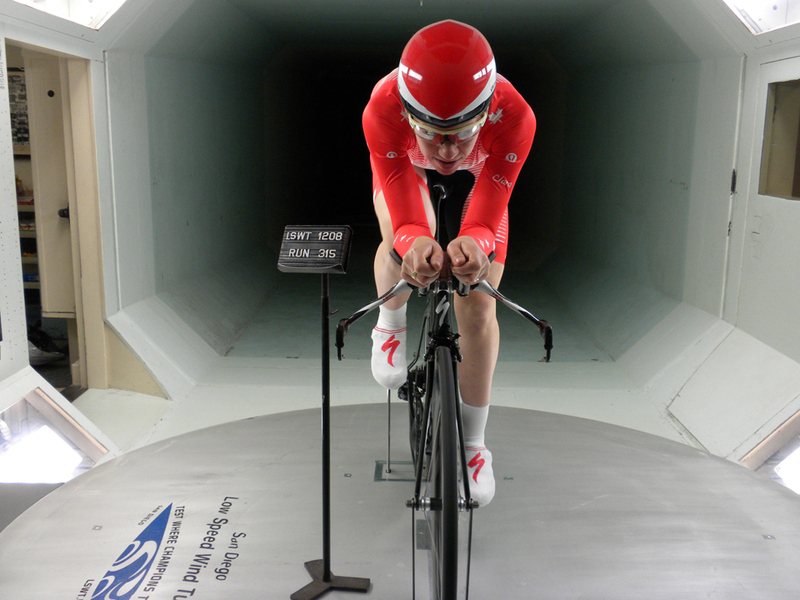 For the latest on Clara, visit clara-hughes.com, ‘Like’ her Facebook page and follow @clarahughes on Twitter. To read more about her story and join Clara in giving, you can order Open Heart, Open Mind. 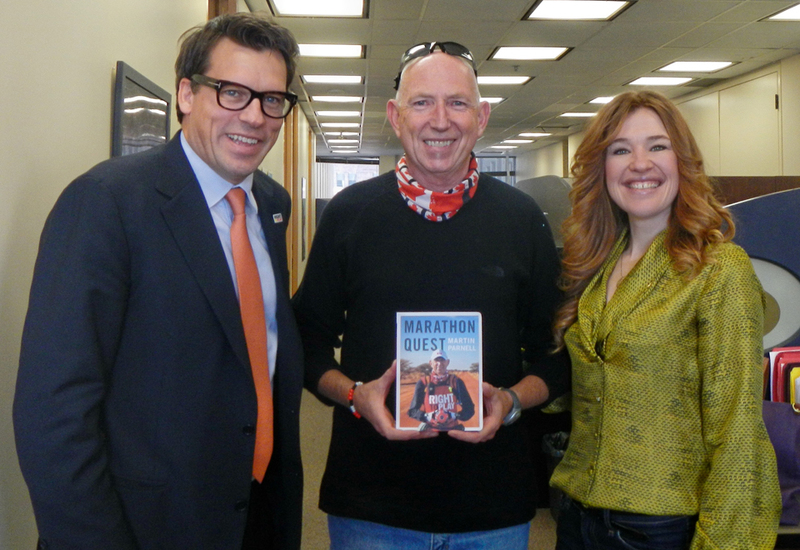 Thank you to Simon & Schuster’s Amy Prentice for making this interview possible. Thank you, Amanda, for another introduction to an inspiring and moving life in progress! Clara’s openness and honesty and heart and accomplishments are a tribute to the courage and kindness of the human spirit. My pleasure, Catherine! It was a privilege to talk with Clara and hear some of her story. I’m so glad she’s sharing it. Thanks for reading!